seriously: I was allways thinking someone at the German Rockabilly Magazine Dynamite must hate me. And others where wondering me why I never was in it, too, as I was Germanys first pin up girl and have been pin upping around for more than 7 years and not once they wrote something about me or had the tiniest picture of me in it. 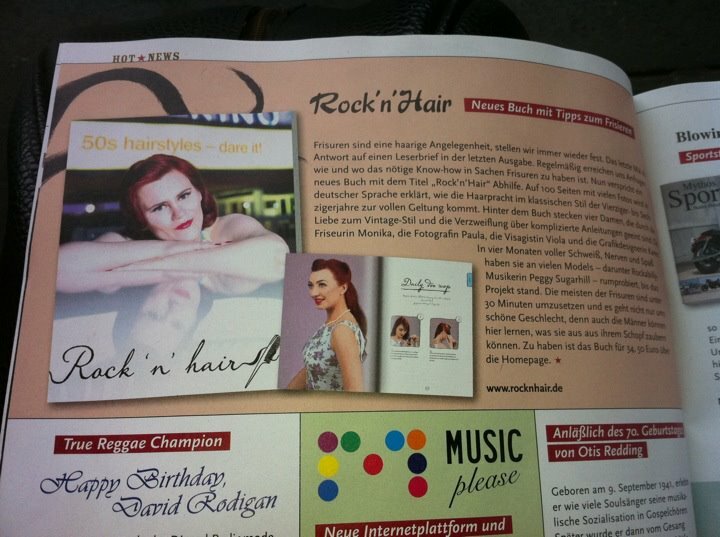 Well, they didn´t write about me this time either, but at least my picture is in it now ;-) They wrote a review about the "Rock ´n Hair" Book and as Iam the books covergirl I ended up beeing there, too ;-) Yay! Maybe the spell is broken now?